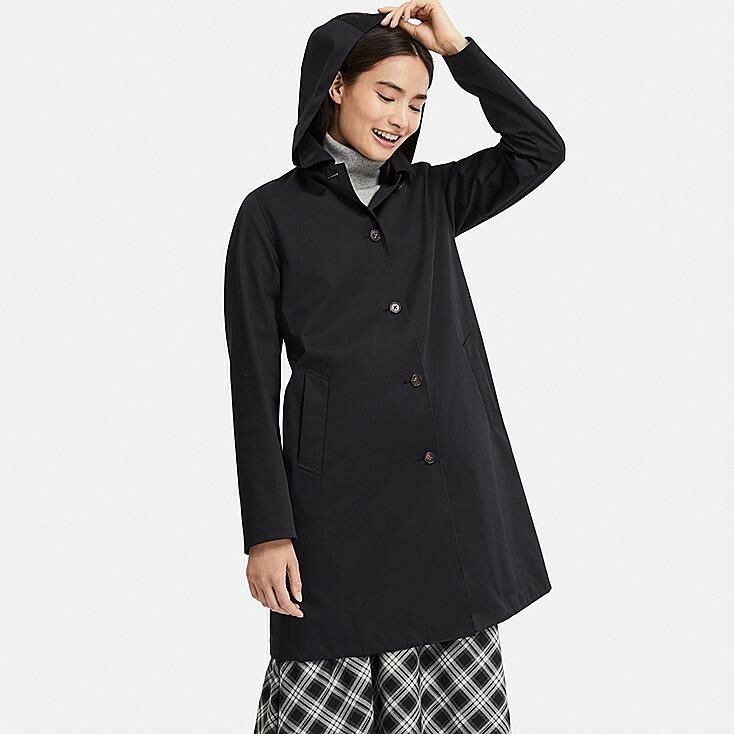 Uniqlo – Ultra light down hooded seamless parka. The Ultra light down series from Uniqlo is so great. 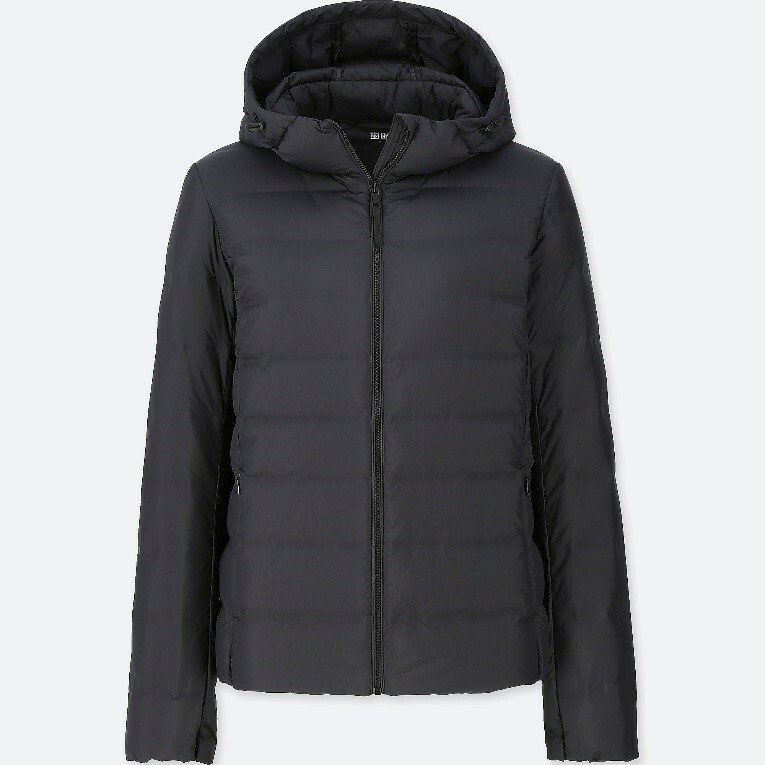 Down jackets and coats are no longer just for winter and autumn. A thin, light, warm seamless design that lets you move. Light, 100% nylon outer layer. Durable water-repellent coating keeps out light rain. In a range of bright colors. Designed to maximize ease of movement. Shell: 100% Nylon. Filling: 90% Down, 10% Feathers. Lining: 100% Nylon. Uterqüe – long black leather biker jacket. 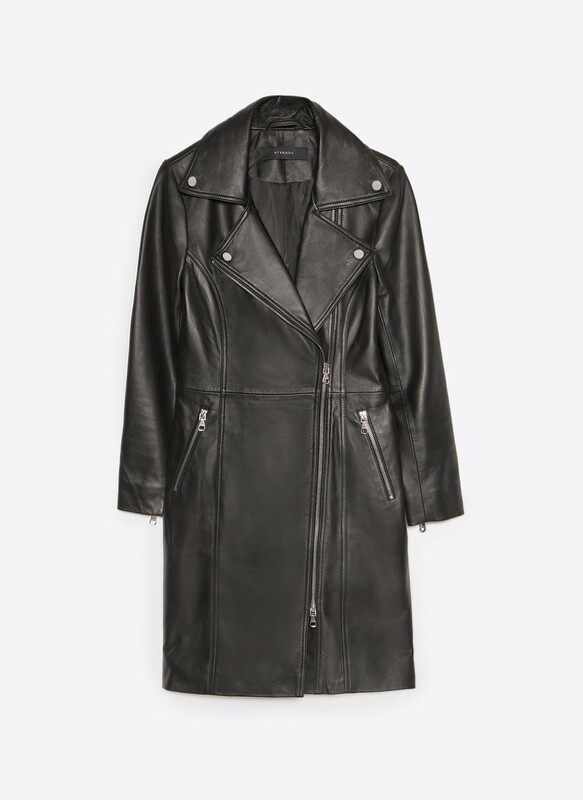 A biker jacket that is longer than they usually are. Perfect for dresses. 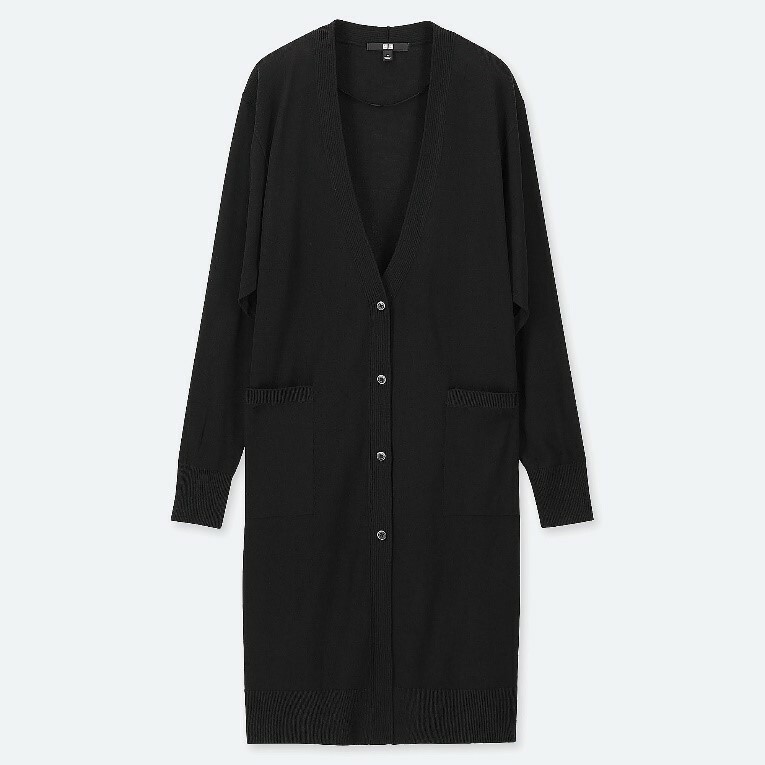 2093 dkk (was 2990 dkk) here. 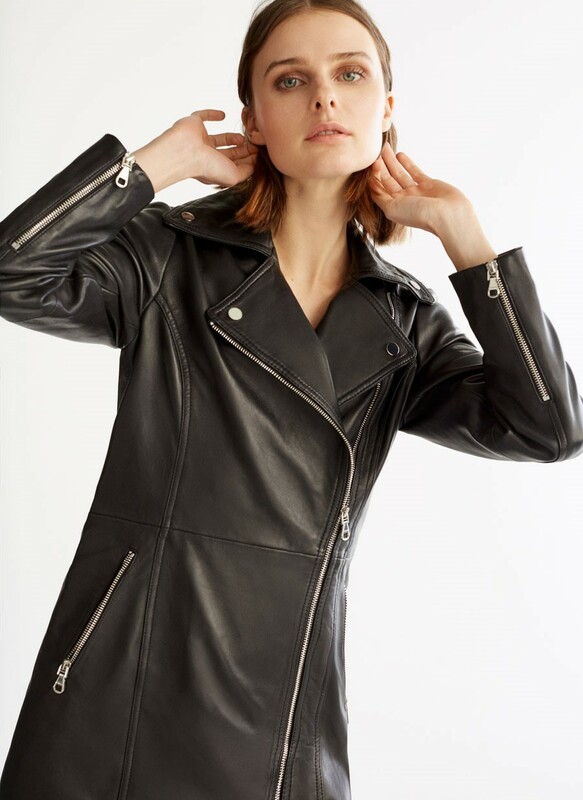 Midi biker jacket. The design features a lapel collar, long sleeves, silver metal details and side zip pockets. Model measurements: Size EU S / UK S. Height of model: 178 cm. 100% Sheep Leather. Lining: 55% Viscose, 45% Polyester. Uniqlo – Blocktech soutien collar hooded coat. I got this coat on sale. 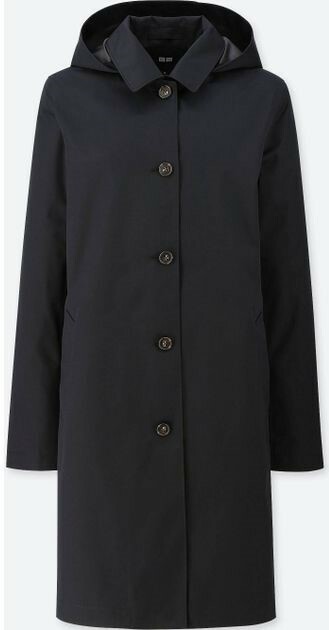 It is the perfect spring coat for Danish weather. It keeps out wind and water and has room for a cardigan underneath. Perfect. And I love the classic design. So I consider it a bit of a bargain. 40 eur (was 90 eur) here. 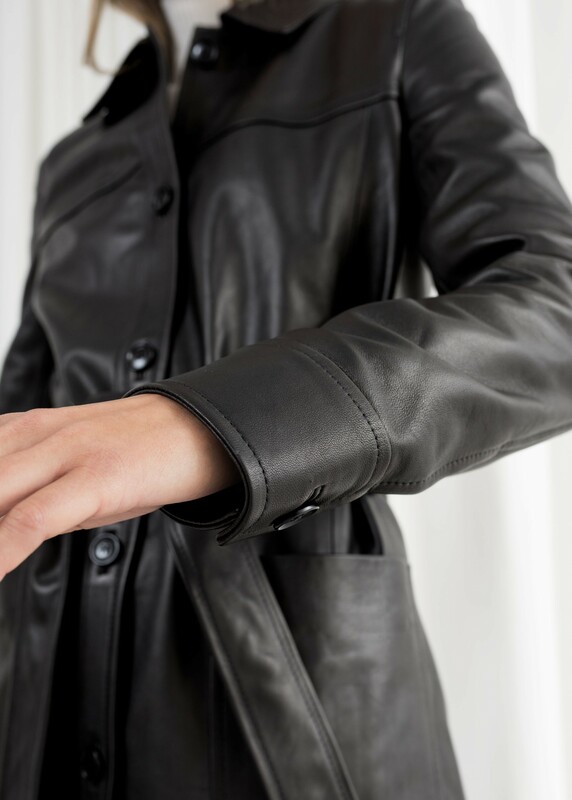 Performance windproof coat. Feminine A-line cut with casual design accents. High-performance polyester and cotton blend material. Windproof construction keeps the cold out and warmth in. Soft A-line silhouette gives it a casual, feminine style. Removable hood lets you wear it as a soutien collar coat. Collar designed for a neat, stylish look when not wearing the hood up. 65% Polyester, 35% Cotton . SKU# 405009. 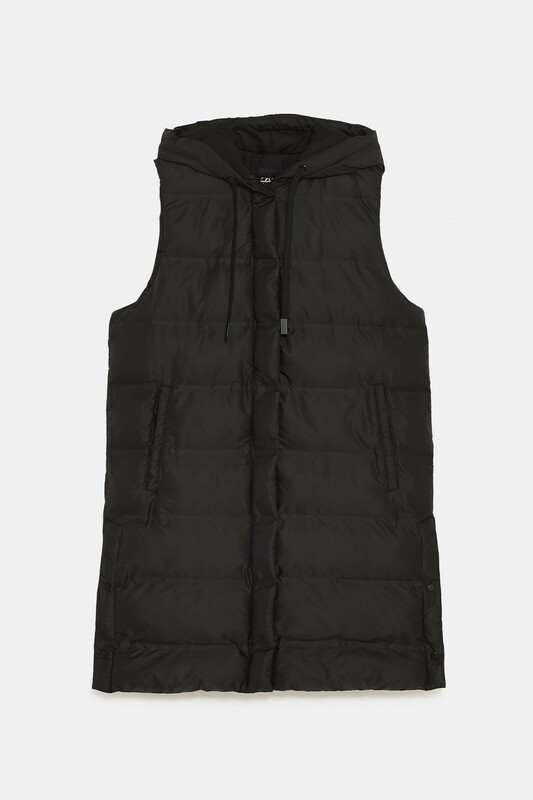 Zara – padded gilet with hood. If you need something extra to keep you warm. 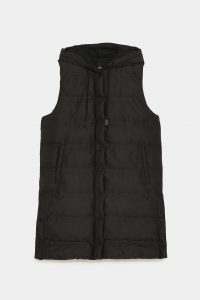 Gilet with an adjustable hood. Featuring front welt pockets, matching interior lining and zip fastening in the front hidden by a snap-button placket. Outer shell: 100% polyester. Lining: 100% polyester. Filling: 100% polyester. Black – 3046/026. 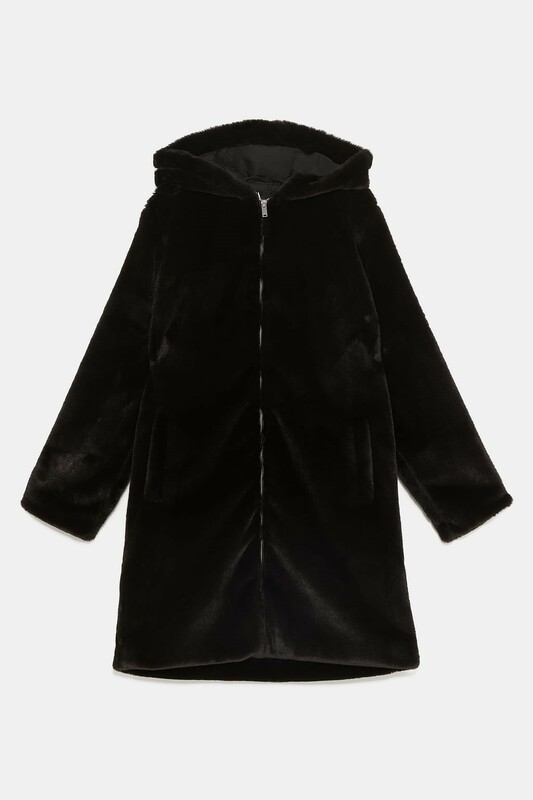 Zara – faux fur hooded coat. 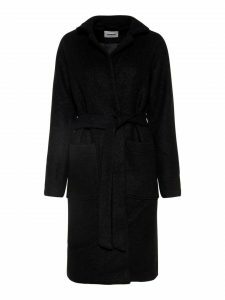 Hooded coat with long sleeves. Welt front pockets and metal zip fastening in the front. Outer shell: 100% polyester. Lining: 100% polyester. Black – 6318/021. 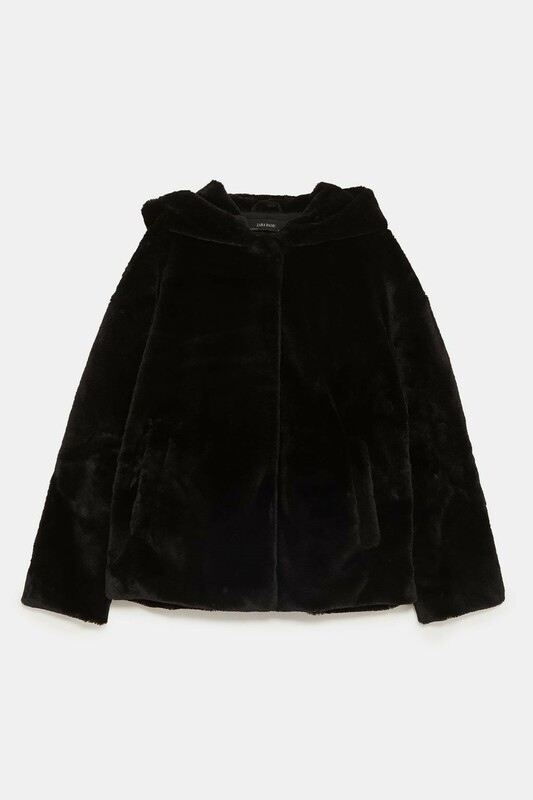 Zara – hooded faux fur jacket. This faux fur jacket looks so warm and soft. Like wearing af ‘teddy bear’. Black – 6318/233. Hooded long sleeve jacket. Featuring front welt pockets and hidden snap-button fastening in the front. Outer shell: 100% polyester. Lining: 100% polyester. 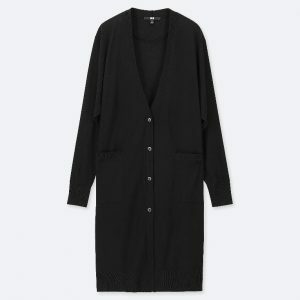 Vero Moda – long Noisy May wool coat. An elegant wool coat. Perfect for days when it is not that cold. When it is really cold, I prefer down. Lang uldfrakke fra Noisy May. Trykknapslukning på forsiden. Bindebælte i taljen. Store lommer på forsiden. Tynd for indvendig. Løs pasform. Længde: 105 cm i en størrelse S. 50% Uld, 50% Polyester. For: 100% Polyester. Artikelnummer: 27002183. 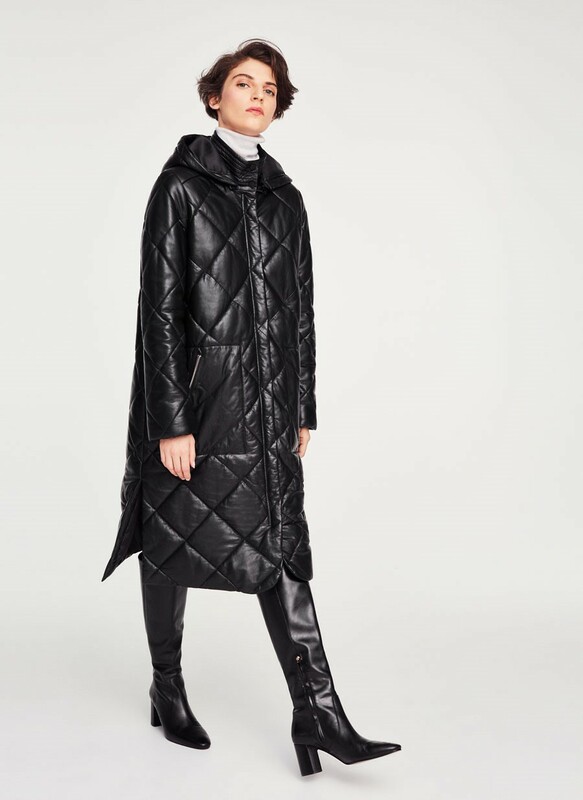 Uterqüe – quilted nappa leather coat. 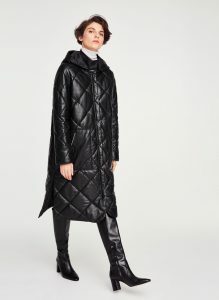 It’s so cool and stylish to combine quilt and leather. 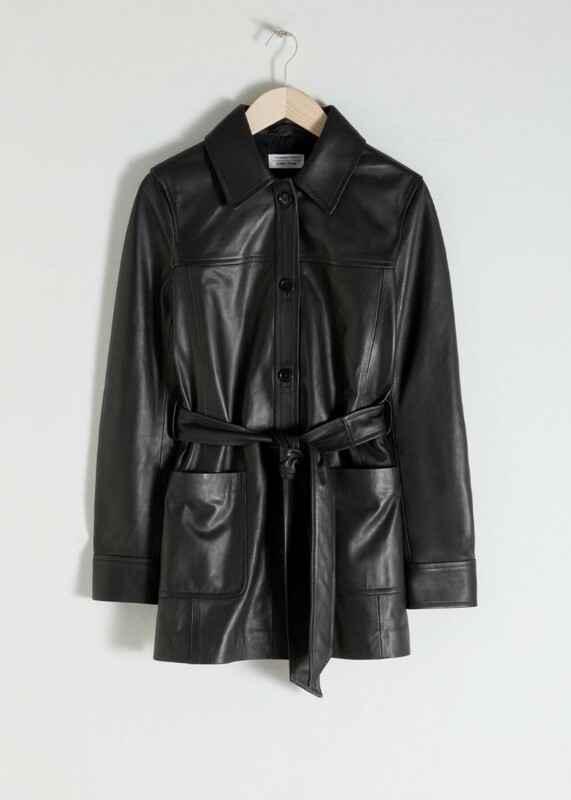 Long top-quality leather coat. 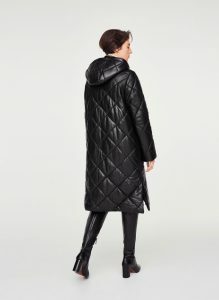 Features a quilted design, high neck, long sleeves with zipped cuffs, removable hood, side pockets with silver zips, side vents and placket and snap button fastening. Model measurements: Size EU S / UK S. Height of model: 173 cm. Exterior: 100% sheep leather. Lining: 100% polyester. Interior: 100% polyester.